Brian Josué Minutti Aguirre egresó de la preparatoria del Colegio Americano de Puebla en el año 2003, es Licenciado en Derecho con especialidad en Derecho Internacional por la Universidad de las Américas Puebla, tiene la especialidad en Normas y Prácticas Jurídicas en los Mercados Financieros por la Bolsa Mexicana de Valores y estudió la Maestría en Administración de Empresas. Ha participado en diversas bursatilizaciones, fusiones, adquisiciones, proyectos de infraestructura, así como la construcción y planeación legal de distintas empresas y fondos de capital privado. En el año 2010 después de trabajar para una firma de abogados con sede en Nueva York, emprendió su propia compañía junto con un socio, y en tan solo tres años, ya es reconocido como uno de los despachos líderes en el país en materia de financiamiento bancario y mercado de capitales. Además de asesorar al sector público y privado en múltiples transacciones financieras nacionales e internacionales, Brian representa a emisores en todo tipo de ofertas públicas de valores y así como a acreedores y deudores en operaciones y reestructuraciones crediticias. Fue condecorado en 2013 por la reconocida publicación inglesa Finance Monthly M&A Awards como Abogado del año para México en financiamiento corporativo y como Abogado del año para México en derecho bancario y financiero. Este premio se otorga a un abogado en cada especialidad por país después de ser votado por los principales participantes del medio financiero. "Estudiar en el Colegio Americano me ayudó a desarrollarme como persona y como profesionista. Aprendí a ser analítico, profundo, a resolver problemas y a abordarlos desde diferentes ángulos. La formación que recibí, es una herramienta de pensamiento que me permitió afrontar acertadamente mis estudios superiores y desarrollarme con éxito en el campo profesional". “En el Colegio Americano conocí a mis amigos con quienes hasta la fecha sigo en contacto, pero sobre todo, maestros cuyas enseñanzas traigo conmigo”. 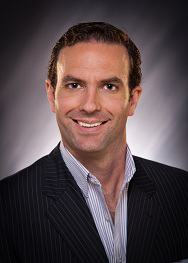 Eduardo Real is Vice-president of Sales for PepsiCo México, where he has had a successful career for the past 14 years. His success lies in the fact that he gives 100% of himself to everything he does. He is passionate about his work and knows that he can influence the future of an organization and have a positive impact on the people who work there. Eduardo attended the American School of Puebla from Preschool through High School. He went on to study Industrial Engineering and Systems Engineering with a specialty in Agroindustry at the Tecnológico de Monterrey, Monterry campus. He started at PepsiCo as a Category Manager. From there he moved to Key Accounts Manager, then to Sales Development, and on to Key Accounts Director. Eduardo lived in the USA for 4 years, where he was Director of Sales CSD PepsiCo Wal-Mart (Bentonville, Arkansas) and Senior Director of Small Format Beverages U.S.
As well as a successful professional, Eduardo is a happy father and a disciplined runner. He is convinced that the challenges that have come his way are a key piece of his growth: they have helped him learn and develop the will and the approach for facing them. Eduardo feels that the American School of Puebla taught him skills and values that are the foundation of his life plan and the seeds of his professional and personal growth. 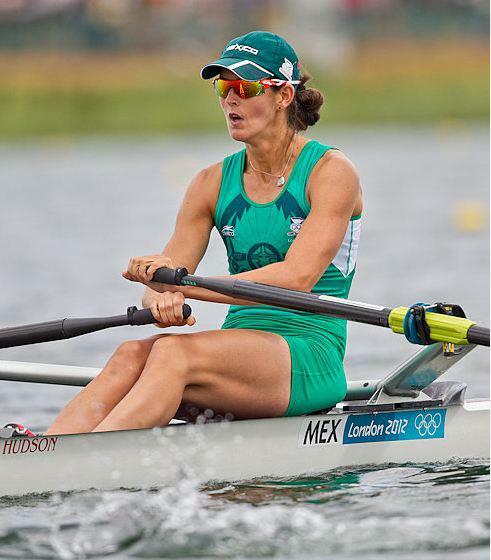 In 2012, Débora Oakley realized a dream that she had had ever since she was little: she represented her country on the Mexican Rowing team at the London Olympic Games. Debbie attended the American School of Puebla from Preschool through High School. She then studied French in Paris for a year, after which she earned a B.A. in Hotel and Restaurant Management at the Universidad de las Américas Puebla. During this time, Debbie was on the swim team. Her interest in rowing began with a summer trip to Canada in 2001. "I saw a regatta while I was in Montreal, and I loved it. I had wanted to be on the national team of some sport since I was 15, and when I saw rowing, I knew it was the sport for me." When she came back to Puebla, she joined the UDLAP swim team, where she competed nationally. By this time, she was already 25 or 26 years old, and thought that at her age, there was no chance for her. In 2009, I was invited to row on the weekends just for fun. I remember that I always went to the last lane so that I could stay out of the way because I was so slow. In February 2010, I competed in a World Indoor Rowing event (which is on rowing machines) in Boston, and that's how it all began. At the end of 2010, I took part in my first international water competition in the masters category, which is for people ages 26 and older. Débora continued to train and decided to try out for the National Team despite the fact that people said it would take her at least 6 years to be selected. Thanks to her perseverance and discipline, Debbie was selected for the 2011 Pan American Games in Guadalajara. Pre-Olympic trials were coming up next, so Débora rearranged her work schedule in order to train from 5 p.m. to 10 p.m. on weeknights, and twice a day on weekends. That grueling process bore fruit, as Débora made the Pre-Olympic trials in Argentina, and after placing 3rd in the competition, she qualified for the Olympics. "It was unbelievable. I was grateful to life and to my body, and was flooded with a sense of pride at having overcome so many obstacles. Being there was the reward for all my hard work. It was the greatest achievement ever because no one expected it to happen. I had only just learned to row three years earlier. Prior to London, she competed in world events in Europe that allowed her to test her abilities with other opponents and under different conditions. At the Olympics, Débora enjoyed every event: "Each one taught me to apply the psychological and physical tools that I had acquired. Crossing the finish line was always a challenge. I met Olympic medal winners, and that was quite meaningful to me." In the Final D 500 meter single scull trials of the 2012 London Olympics, Oakley placed 4th with a time of 8:40.70 minutes. This earned her 22nd place overall. Débora has outstanding memories of the school that formed her: "School was home to me as a child and a teenager. It's an institution that taught me a lot. My experience on the basketball team was great, and I have fond memories of my classmates. Being an American School of Puebla alumna gives me a wonderful feeling," she said. The American School of Puebla community is proud of this outstanding athlete, one of the best in the world, and we hope to see her keep making her dreams come true. José went all through the American School of Puebla and then earned a B.A. in Law from the Universidad Anáhuac. He also holds an M.A. 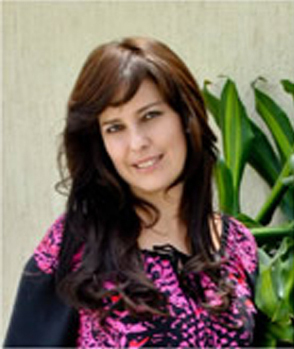 in Bioethics and is a doctoral candidate in Public Administration at the Universidad Anáhuac México Norte. In 2005, he studied Finance Management for Non-Profit Organizations at Harvard University. He was named Rector of the Universidad Anáhuac Puebla in 2010 and in 2015 was conferred the "Distinguished Poblano" award, recognizing his career and his work in social development. Mata Temolzin began his career as Deputy National Director of Gente Nueva. He then entered academics as head of the General Coordination of Social Responsibility. At the same time, he founded the Social Responsibility Leadership Program IMPULSA, which offered courses, certificate programs, and internships in a variety of places in Mexico and Europe that were geared towards high-achieving students. He acted as Institutional Communications Director of the Universidad Anáhuac Norte for 4 years and was named Rector of the Universidad Anáhuac Puebla in 2010. José created the ASUA Construye project, a housing model for families in extreme poverty. With the help of students, the beneficiary families build the 20 square meter houses using steel panels. The Social Responsibility Innovation Model award was given to the Universidad Anáhuac in 2006 for this project. Mata has also organized a number of international seminars for students in varying academic institutions. Worthy of mention are the following: Shanghai Normal University, China; Sergio Arboleda University, Colombia; José Matías Delgado University, El Salvador; and other institutions of higher learning in Hungary and Hong Kong. My years at the American school were a wonderful time of learning. As many graduates have stated, it broadens your perspective, teaches you how to get along with others, opens your heart, and many other things that you do not realize until later. The school encourages you to try lots of things, such as social responsibility activities, drama, Model United Nations, etc. Getting up in front of people at a young age helps you grow. In addition, learning a second language is mandatory. Athletic challenges are good too. They help you overcome fears. 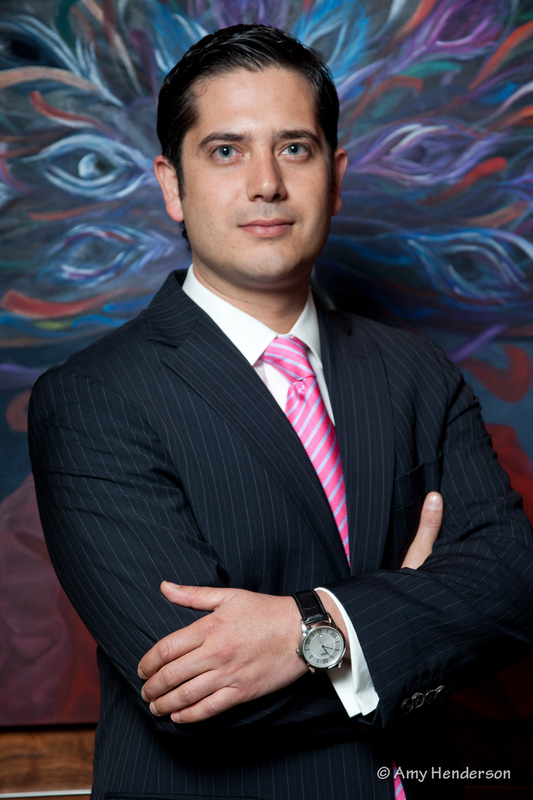 Armando is one of the foremost neurosurgeons in Mexico. He performs the most complex brain and spinal column surgeries known to date, combining established traditional techniques with cutting-edge technology to reduce operative risk factors and increase surgery success and recovery. 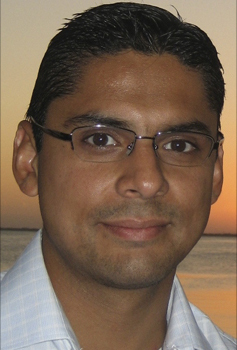 After graduating from the American School of Puebla, Armando Romero studied Medicine at the BUAP, followed by 2 additional medical courses in Paris and New York. He did his undergraduate rotation internship at a hospital in Barcelona, after which he spent 6 years in post-graduate specialization studies in Neurosurgery at the Centro Médico Nacional Siglo XXI (accredited by the UNAM.) Towards the end this time, he spent 6 months in a post-graduate course in Minimally Invasive Spine Surgery and Micro-Neurovascular Surgery at the Barrow Neurological Institute in Phoenix, Arizona. He obtained the highest score on the Consejo Mexicano de Cirugía Neurológica's national examination in 2009. In addition, he belongs to numerous national and international medical associations and has taken part in any number of seminars as both a speaker and an attendee, in Mexico and abroad. It's where my development got its start and made me what I am today. It's where I met my best friends. The school has tradition, but it is always updating its techniques and philosophy. The American School forms future entrepreneurs and leaders with a very clear idea of what we want in life as well as a strength of character that leaves no place for indecisiveness and small personalities. Jorge began taking piano lessons at age 15, and he recalls the American School of Puebla giving him its unconditional support as he developed his art. After graduating High School, he was admitted to the Lausanne Conversatory in Switzerland. In 2008, he obtained a Master of Musical Pedagogy with Honors. In 2009, Jorge won the distinguished Gabrielle Agostini award in Geneva, Switzerland, followed by admittance to the Hochschule der Künste in Zurich to study Performance under internationally renowned Homero Francezch. Jorge completed this Master of Arts with Honors in 2011. 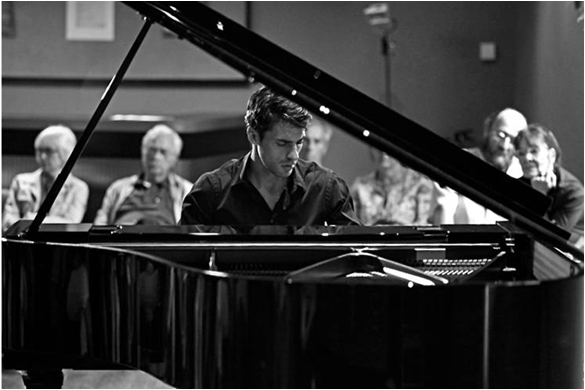 That same year, Jorge won the "Kiefer Habitlzel Wettbewerb" in Berna and is currently the youngest resident piano professor at the Lausanne Conservatory. Jorge has won a number of contests and has performed in Paris, Vienna, Hamburg, Lyons, and other cities in Europe and Mexico. In 2012 launched his "Crescendo con la Música" Foundation with a concert for 2000 people at the United Nations in Geneva. The foundation provides low income children in Mexico with access to music education. I have great memories of my relationships with my teachers and I still have good friends. It was a happy time for me. I enjoyed it tremendously. Any time a problem arose, there was always a solution. The teachers were incredible. The school gives you the freedom to do the things you want to do, and they support you. I remember writing a story in High School. My Literature teacher entered it in a contest, and it won an Honorable Mention. I grew a great deal as a person in High School: I started writing, playing the piano. I read a lot, took part in Model United Nations and CAS. There I became aware of things and learned how adjust to change quickly. Fernando attended the American School from Preschool through High School. He then earned a degree in Industrial Engineering at the Universidad de las Américas Puebla and was granted a scholarship to study an M. BA. at the IAE Business School in Buenos Aires, Argentina. Afterwards, he did further post-graduate studies in Asian Markets at the China Europe International Business School in Shanghai. He is current CEO of CINIA, (Capacitación, Industria y Artesania, ((Training, Industry, and Arts and Crafts)), a Puebla company started in 2005 to integrate people with disabilities into society by working to improve their standard of living. "At CINIA we don't see a disability as a problem, but rather as a reality that affects 10% of the nation's population. The people who work here have a variety of disabilities: motor, auditory, visual, and intellectual, “states Diez. Over the past 10 years, the team at CINIA has generated new knowledge. There is no organization like this in Mexico, which has led us to innovate and discover best practices. The greatest challenges that Fernando has faced while leading this company are ignorance and the paradigms that exist among the general public. 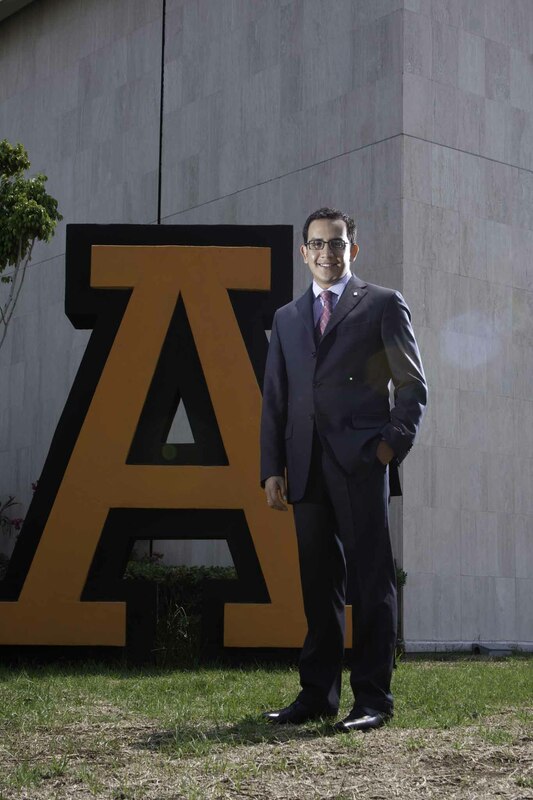 For Fernando Diez, being a graduate of the American School of Puebla is like a tattoo that is still noticeable 10 years later, when you appreciate what you learned and recall so many memories and friendships. The American School is a diverse community, so we couldn't live in a bubble. We learned about the issues facing the community, and we were taught to do something to improve those situations. The friends that I made at the American School have been with me my whole life. I am proud to see so many of my classmates doing worthwhile projects and standing out in their field. Sandra attended the American School of Puebla from Preschool through High School. She then earned a B.A. in Law with a specialization in International Law from the UDLAP. She worked for the State of Puebla in the Instituto Poblano de la Vivienda (Puebla Housing Institute), the Economic Development Secretary, and the Tourism Secretary for 11 years. While in the Tourism office, she visited the Teleton Foundation as it was just opening its Childhood Rehabilitation Center Teleton Puebla. That was the moment she decided that she wanted to be there. After months of exams and interviews, she finally achieved her goal and is currently the Director of Public Relations for CRIT Puebla. Her greatest challenge is an afternoon shift for CRIT. Puebla has the longest wait list in the country. For Sandra, the CRIT is not just a job, but also a way of life. The foundation's slogan is "Love and Science at the Service of Life." We seek to transcend by applying this premise, making a difference in people's lives with warmth, love, and affection. We live the values that we foster. We do everything the best way possible, and we follow a code of ethics: "We who work at CRIT are convinced of this: We think we come to give, but we always receive. There is no room for sadness here. Here there is hope, there is faith. People bless you all day long and the children feel accepted," Sandra says. Sandra remembers the American School of Puebla as a place where she was happy and able to strengthen her self-esteem. I think that few schools really practice values. At the American School, everyone is treated the same. What I like is the variety of cultures you find there. They also promote an awareness of ecology, which means respect not only for the planet, but also for "the other." And the most important thing is that they form happy children. Brian Josué Minutti Aguirre graduated from the American School of Puebla in 2003. He holds a B.A. in Law from the Universidad de las Américas Puebla with a specialty in International Law; a specialization in Legal Policies and Practices in Financial Markets from the Bolsa Mexicana de Valores (Mexican Stock Exchange); and an M.BA. He has taken part in several securitizations, mergers, acquisitions, and infrastructure projects as well as the legal planning and business building of several companies and private capital funds. After three years with a New York-based law firm, Minutti and a partner started their own company in 2010. In just three years it became known as one of the leading firms in the nation in terms of bank financing and capital markets. In addition to national and international financial transaction consulting for the public and private sectors, Brian represents issuers in all types of public stock offerings. He also counsels lenders and borrowers in operations and credit restructuring. In 2013, Brian was named Lawyer of the Year for Mexico by the renowned English journal "Finance Monthly" M&A Awards for both Corporate Finance and Banking and Finance Law. This award is conferred upon one lawyer per country in each specialty based on voting by top participants in the financial world. Brian is certain that his education has been instrumental in his success. Brian has fond memories of the time he spent with his classmates. "I am still in touch with the friends I made at the American School. But above all, I remember the teachers who taught me such great skills."